This cottage has a primo location and all the charm you would expect from a Mount Gretna cottage. 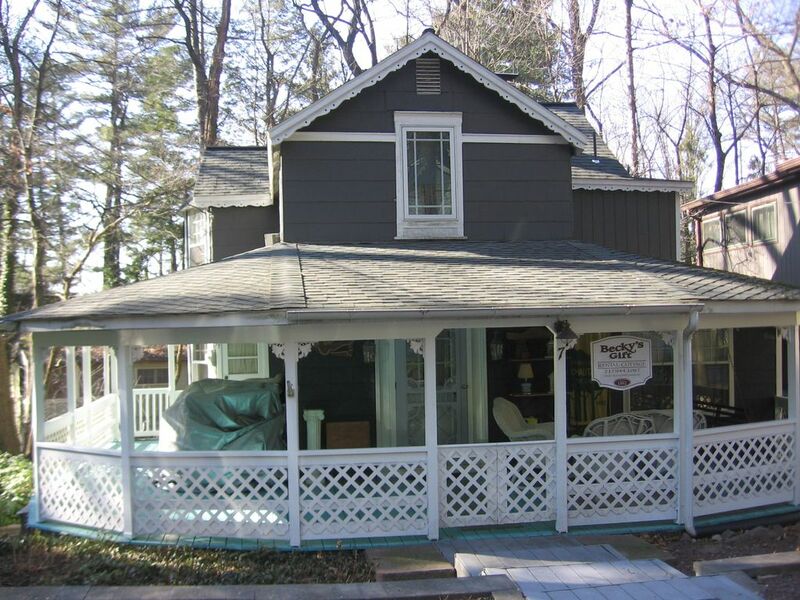 Situated in the Chautauqua section surrounded by nature, you can sit and relax at the end of a busy day on the wrap around porch, the quaint gazebo, or the hot tub, take your pick ! This cottage offers 3 bedrooms and 2 1/2 baths, spacious kitchen with dining area, living room with electric fireplace and of course, the large wrap around porch complete with a porch swing. Primo location, close to Gretna Theater, Jigger Shop, playground, lake, dining and activities. This cottage has the best place to relax after a busy day. Lounge on the spacious wrap around porch while enjoying the porch swing. Or have your evening cocktail in the quaint gazebo. Or relax in the lower level hot tub ! !